When I was single, I would make this all the time. Artichokes are up there with my all time favorite food. It worked for me then and it works for me now! Drain the artichokes and cut them in half. Heat olive oil in a small skillet and cook artichokes for a few minutes. Add fresh lemon zest and juice and toss around. Sprinkle with breadcrumbs and toss, cooking the artichokes until the spaghetti is ready. Season with salt and fresh chopped parsley. 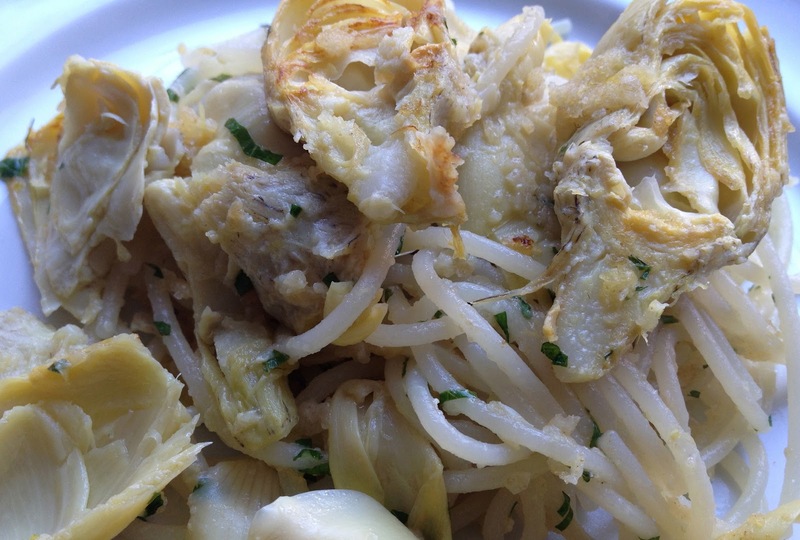 Drop spaghetti right into the skillet and toss with the artichokes. Enjoy! 5 Easy Steps to Fantastic Homemade Granola Bars!